Hani Faraj created BCHouseFinders. Hani Faraj has over 6 years of real estate from lending experience, marketing, project & development marketing to real estate sales. Hani Faraj loves real estate with all its aspects. Hani lives with his family in Yaletown and works with one of the top offices in Vancouver. 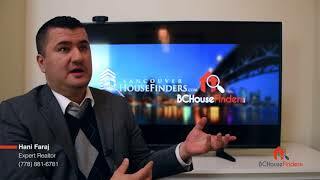 The main reason for creating Vancouver House finders is to establish a website where the consumer is in the driver seat. We want to give consumers of this generation all the tools they need to make an informed decision without any interference. We know that consumers today are very tech savvy and want to feel empowered by having all the tools that us, Realtors have; this is why we created this site. It doesn't mean that if a consumer has questions or need clarifications, we won't help. We are here to help from the smallest details to the most intricate part of a real estate process. Consider us your Google of Vancouver Real Estate. To contact Hani, call 778-881-6781.